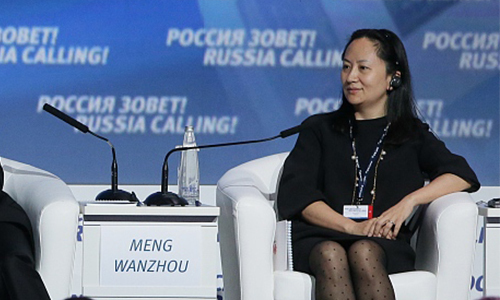 China's Ministry of Foreign Affairs on Tuesday said the US and Canada are abusing the extradition treaty, and urged the US to correct its mistake immediately and not to send the extradition request for Huawei chief financial officer Meng Wanzhou. Hua Chunying, a Foreign Ministry spokesperson, made the remarks at a routine press conference on Tuesday after Canadian media Globe and Mail reported on Monday that the US will proceed with its request to extradite Meng. The US has informed the Canadian government that it plans to proceed with a formal request to extradite Meng on "allegations of bank fraud related to violations of US sanctions against Iran," Canada's Ambassador to the US David MacNaughton told the Globe and Mail on Monday. MacNaughton did not say when the formal US extradition request would be made, but the deadline for filing is January 30. Hua said that Meng's case is a serious mistake since this is not a normal judicial case but an abuse of the extradition treaty by the US and Canadian governments, which has already harmed the personal safety and legitimate rights of a Chinese citizen. China urges Canada to release Meng immediately and also urged the US to correct its mistake, Hua said. The behavior of the US and Canada is "purely an act to suppress Chinese high-tech enterprises," and history will prove it wrong, she said. Huawei Technologies Co also said in a statement on Tuesday that "We are aware of the report in question and are closely monitoring the situation. Huawei complies with all applicable laws and regulations in the countries and regions where we operate, including export controls and sanction laws of the UN, US, and EU." "We have every confidence that the Canadian and US legal systems will reach a just conclusion," the company said. Chinese experts warned that if the US sends the extradition request to Canada and Canada implements it, the situation would get worse and the two countries are very likely to receive more and tougher retaliation from China. "If the US refuses to correct its mistake and decides to send the request to Canada, and Canada makes a further mistake to execute the extradition, the two countries will create a bad example of Western countries using a 'judicial excuse' to crack down on Chinese high-tech firms and interrupt the normal global business competition in the high-tech field," said Diao Daming, an American studies expert at Renmin University of China in Beijing. The US move against Meng shows that US hard-line and conservative decision makers want to add greater leverage to the upcoming negotiations with China on bilateral trade frictions, Chinese observers said. 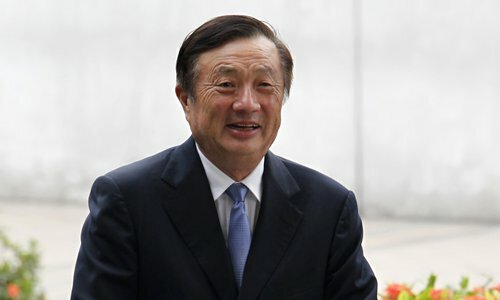 Ren Zhengfei, Meng's father and founder of Huawei, said in an interview with foreign media on January 15 that "As Meng Wanzhou's father, I miss her very much." "I trust that the legal systems of Canada and the United States are open, just, and fair, and will reach a just conclusion," Ren said, according to the transcript Huawei released to media. Huang Feng, director of Beijing Normal University's Institute for International Criminal Law, told the Global Times on Tuesday that it is unclear what Meng will face because the details of the request from the US remain unknown. "The US is nervous at the moment because the deadline for filing [January 30] is near, and the case has drawn attention around the globe, which means it has to provide solid evidence against Meng," Huang said. "The case needs to fit the principle of double criminality," Huang said. This principle is a requirement in many countries' extradition laws, including the US. It states that a suspect can be extradited from one country to stand trial for breaking a second country's laws only if a similar law exists in the extraditing country. "The US has to prove Meng violated laws in both the US and Canada, but has provided no hard evidence," Huang said. According to the Globe and Mail, after receiving the formal request, lawyers with the International Assistance Group of Canada's Department of Justice must determine within 30 days whether an "authority to proceed" will be issued. Canada cannot refuse to issue this "authority to proceed" if the US' request complies with the requirements of the Canada-US extradition treaty. At the extradition hearing, the judge will determine whether the evidence provided by the US describes conduct that "had it occurred in Canada" would justify committal for trial in Canada, according to a Department of Justice description of the process provided to media. Canada's appointed Minister of Justice David Lametti will decide whether Meng will be extradited. There are several opportunities for Meng to appeal the court's decision, and this could delay any final decision many months or even years, the Globe and Mail reported.